With the threat of summer temperatures looming, I looked for a way to mix up the back patio happy hour (or the occasional Saturday). Freezing liquor into fruit…why didn’t I think of this sooner? 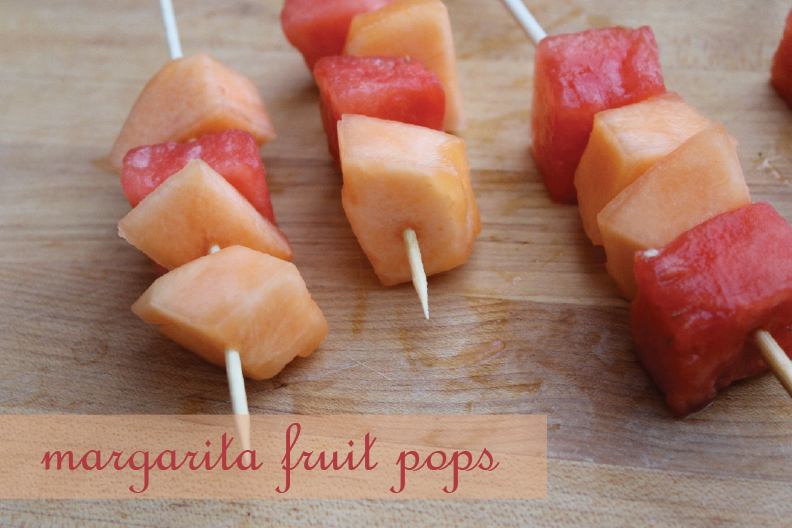 Nothing says summer like tequila (or vodka/rum/gin/whiskey) on a stick! For margarita pops, I soaked the chopped fruit in tequila, triple sec, lemon juice, and a dash of salt. 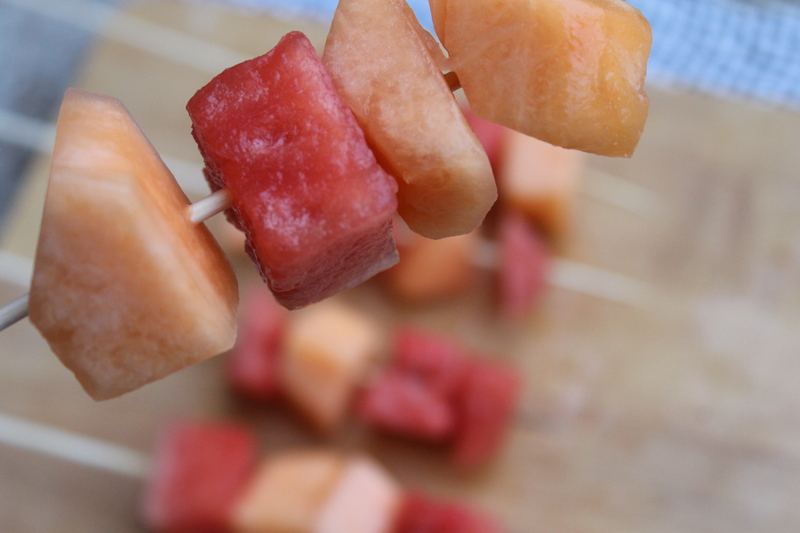 Place the fruit on kebab sticks and freeze for about an hour. Then enjoy! 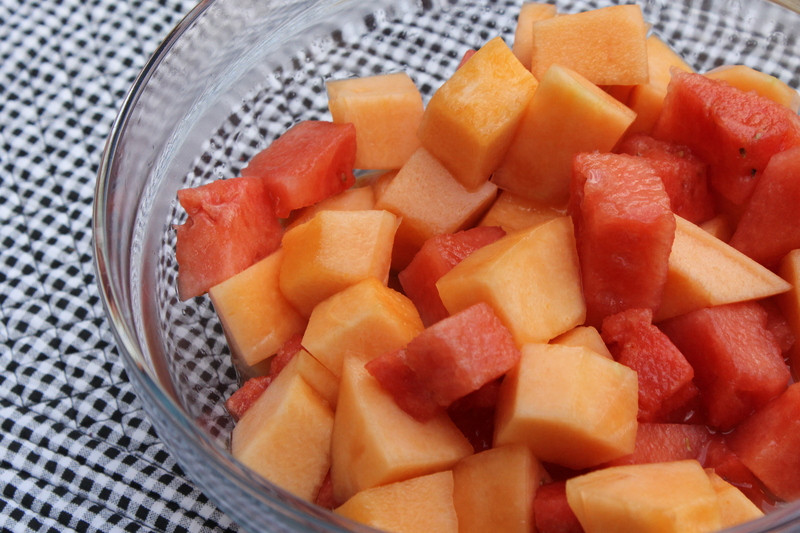 I imagine the recipe could be adapted lots of other ways, with lots of other fruits. What are you cooling down with as the temps go up? Genius! I must try this! But the weather here in Oregon isn’t very summery yet…. I can’t wait until it is!